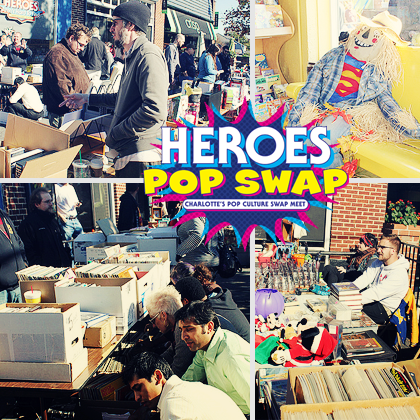 THE HEROESONLINE BLOG | HEROES POP SWAP :: OCTOBER 25, 2014 :: RESERVE YOUR SPACE! Looking forward to the Pop Swap event at Heroes this weekend in Charlotte. I’m bringing along with me lots of 80’s nostalgia – Transformers, Cops ‘n Crooks, Silverhawks, M.A.S.K., G.I. Joe, Dino-Riders and more. I’ll also have 2 boxes full of 50 cent comics an who knows what other goodies!